At Suburban Veterinary Clinic, our team dedicates their time and energy to helping pets of all kinds remain in excellent health. We offer preventative, acute and emergency care to pets in the greater Maple Heights, Ohio region. Our team expertly handles all medical and dental problems that can affect pets of any age and condition. If you need skilled veterinarians in Maple Heights for your furry friends, you have come to the right place. 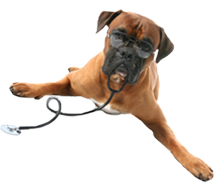 As a full-service veterinary hospital, we complete the diagnoses and treatment of illnesses and injuries of all kinds. When we welcome your pets into our Maple Heights, OH clinic, you will notice that we maintain calm, inviting environment to help you and your furry friends relax while waiting for care. Our smart approach to vet care revolves around our recognition that pets are valued family members deserving of the best vet care services. We believe that the best way to keep your pets in great health is by committing to a beneficial preventative care schedule. Through timely vet examinations and diagnostic tests, your pet will receive the support required to prevent the progression of developing health conditions and control existing problems. Our team creates personalized care plans for the pets we treat, which includes vaccinations, dental cleanings, and yearly checkups. We strive to offer resources of education and support when it comes time for you to participate in the ongoing care of your pet. If you suspect your pet is suffering from an acute illness or injury that requires emergency care, give your veterinarians in Maple Heights a call right away at (216) 662-6117. We want to ensure that your pet receives the timely care and support needed to make a full recovery. When emergencies occur, do not delay; Contact our skilled team immediately to receive our complete support. You can keep a close watch on the health of your beloved pets by scheduling an appointment at Suburban Veterinary Clinic in Maple Heights, OH today. You may schedule an appointment through our website using our online form or call (216) 662-6117 to speak to our dedicated staff members. 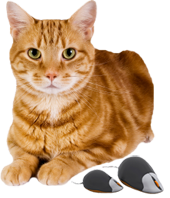 We look forward to welcoming your pets to the clinic and helping you maintain their excellent health for years to come. Dr. Terry has dedicated his life to caring for animals. As a child, his family raised and cared for dogs at thee family-owned kennel, Suburban Animal Centre. Dr. Terry began working his first job when he was 14 at Shaker Animal Hospital. He then went on to receive a Bachelor of Science in Animal Agriculture from The Ohio State University before obtaining his Doctorate in Veterinary Medicine from Ross University. "My dog Blake loves coming to see everyone at Suburban Veterinary Clinic...Dr. Terry and his staff always welcomes us with open paws and treats us like we are part of the family. I recommend the clinic to all of my family and friends." "Dr. Terry has always gone above and beyond for the care of our family's pets for several years. Dr. Terry is a true professional, he really knows what he's talking about."